While that is true, timing is key in expanding your influence. You don’t want to post any update which no one sees, and at the same time you probably won’t have the luxury of posting every hour, every day! 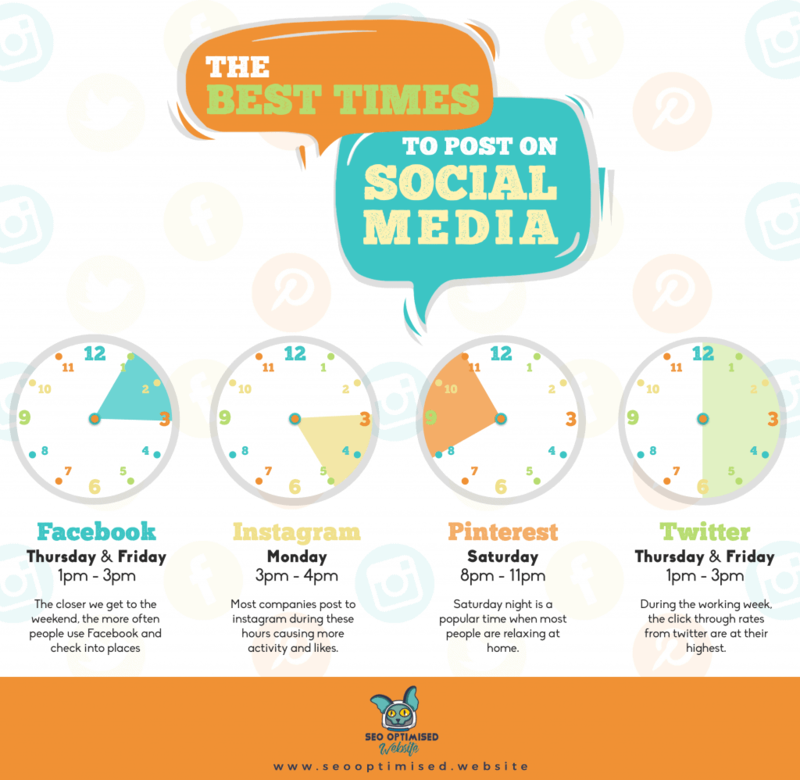 So instead, we have indicated the popular platforms below and when the best time is to post, potentially reaching more visitors in the process. Why? – More often than not, people are too busy concentrating on their school work or jobs during the first few days of the week. As we get closer to the weekend, people tend to browse through Facebook, especially in the afternoon when they have finished most of their tasks already. Why? – As we’ve analysed trends, most companies get the most interaction during this day and inclusive times. You can follow suit and expect more or less the same result. 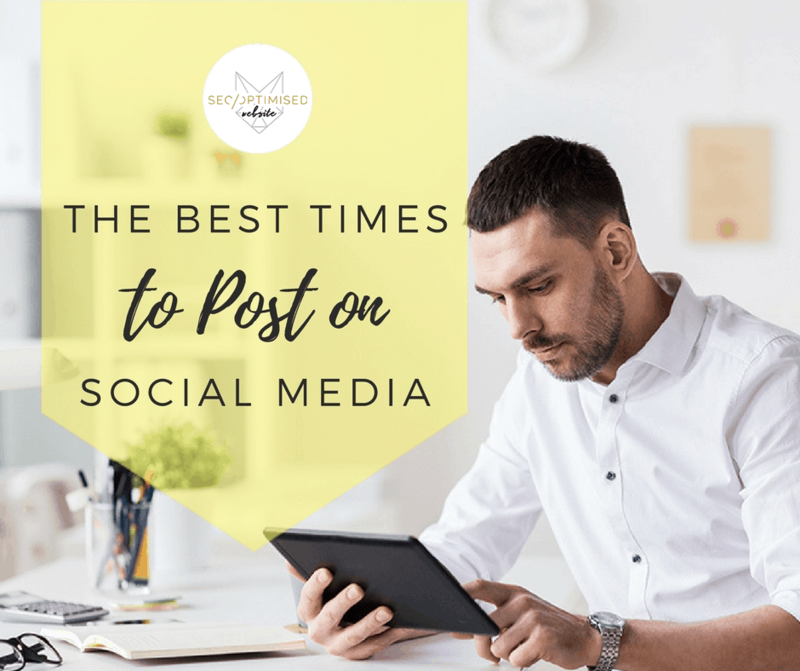 Moreover, if you are a B2B entity, this increases the chances that other establishments who post during this time will see you as well! Why? – During a Saturday night, most people simply lounge at home and browse through Pinterest, looking at photos and topics that intrigue them the most. If your business fits into their criteria, then you have the front row and can be seen immediately by your target market. Why? – Similar to browsing Facebook, most people check on Twitter during these days and times. They want to know what’s buzzing, so take this opportunity to make some noise over the internet and let your brand be recognised! Social media is shaping how we do business, and we have to quickly adjust to this ever-evolving tool. Do that and you should have an easier time reaching out to your market and expanding your influence.